Indian Defence Minister Manohar Parrikar on Tuesday criticised Pakistan and said a visit to the neighbouring country was similar to “going to hell”. Indian troops killed a total of seven militants on Monday in two incidents – five of the gunmen had attempted a cross-border incursion and two more had attacked a Srinagar police station. One officer died in the police station shootout. 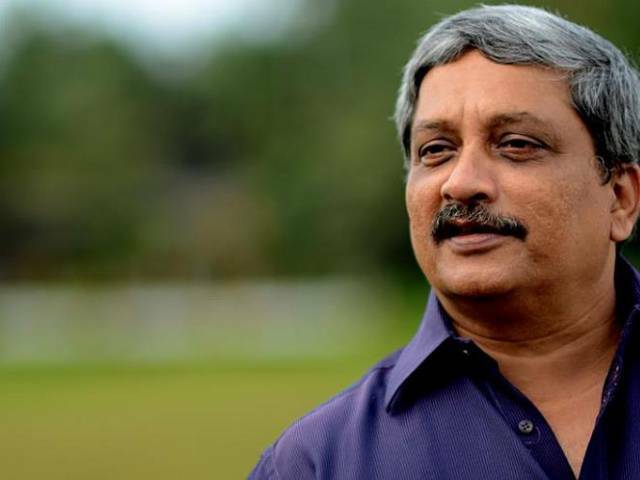 Parrikar said India would give a befitting reply to Pakistan-promoted militancy. “Yesterday, our soldiers sent back five terrorists who were trying to infiltrate our borders. Going to Pakistan is the same as going to hell. Pakistan has always been promoting terrorism. Now, they are on the receiving end,” said Parrikar while addressing a rally to mark Independence Day celebrations in northern Rewari city. Kashmir is at the centre of a decades-old rivalry between India and Pakistan, which also rules its northern part, and backed an insurgency in the late 1980s and 1990s that Indian security forces largely crushed. Both countries claim Kashmir in full. Pakistan recently invited India to hold dialogue on Kashmir, saying it is the “international obligation” of the two countries to solve the matter. India virtually turned down Islamabad’s proposal and said it would talk only on “contemporary and relevant” issues in India-Pak relations. 0 Response to "World News: Going to Pakistan same as 'going to hell', says Indian defense minister"